Governor Brown is Not Green | Reimagine! 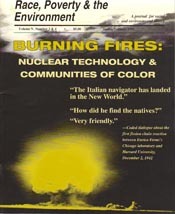 Back home, Brown is also often at the receiving end of criticism from environmental justice advocates. “As much as Jerry Brown likes to talk about California being a leader in addressing climate change and other environmental justice issues, he has a real blind spot for oil and gas. As a result, California has seen a series of environmental catastrophes, including toxics in water and the rampant spread of fracking across the state,” says Hollin Kretzmann, attorney for the Center for Biological Diversity (CBD), a group that is suing the Brown administration for polluting the water in Kern County. Brown first rose to political prominence in the 1970s. As California’s Secretary of State he challenged Big Oil on campaign finance, which resulted in the Political Reform Act of 1974. That same year, he was elected California’s governor at the young age of 36. Given the sobriquet “Governor Moonbeam” for his pledge to expand California’s space program, he was way ahead of the curve on renewable energy and energy efficiency, signing a groundbreaking tax incentive for rooftop solar in 1977. He established a moratorium on nuclear power, addressed air pollution in Los Angeles by creating the South Coast Air Quality Management District, blocked offshore coastal drilling through the California Coastal Act, and pushed for five California rivers to be added to the federal Wild and Scenic River System. 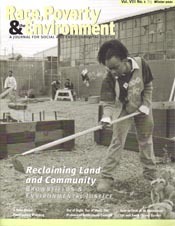 After failed runs for President and the US Senate and a stint as a KPFA radio talk show host, Brown returned to politics in 1999 as mayor of Oakland, where he pursued an ambitious plan to draw 10,000 new residents to the city, in the process, some say, accelerating gentrification. Brown used his connections to developers to propel himself into the Attorney General’s chair in 2006, and ultimately, the Governorship five years later. To his credit, as state Attorney General, Brown pursued emission limits under the California Environmental Quality Act (CEQA). His advocacy contributed to California’s becoming a national model for federal fuel-economy standards during the Obama Administration. Ironically, California’s strongest piece of environmental legislation, AB32, was enacted not by the Democratic Brown, but by his Republican predecessor, Schwarzenegger. Yet Brown has been happy to take credit for being proactive on climate change when it suits his purpose. As governor, Brown opposed the controversial Proposition 23, which would have rolled back AB32 until unemployment levels reached a 5.5 percent threshold. In the process, he pushed back directly at Big Oil, earning platitudes from environmental organizations like the Sierra Club. 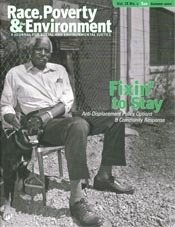 Environmentalists, and particularly environmental justice advocates, have long been frustrated with Brown’s contradictions. One recent controversy erupted over Brown appointees to the Coastal Commission who have reportedly taken pro-development stances and may have orchestrated the ouster of former Executive Director Charles Lester last February. Brown reportedly refused to intervene on behalf of environmentalists to influence the vote on Lester. The same year Rolling Stone called Brown “arguably the most accomplished progressive governor in America,” Alternet reported on his “10 Worst Environmental Policies.”9 As it turns out, Governor Moonbeam isn’t quite as green as he might seem. 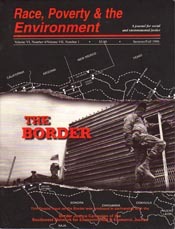 According to environmental journalist Dan Bacher on the Daily Kos, “Under Brown, the Department of Conservation has become known as a virtual subsidiary of the oil and gas industries.”10 Oil industry regulators have been fired for refusing to violate the Clean Water Drinking Act by expediting oil drilling permits, and former oil industry executives have been appointed to high-ranking positions in state departments and commissions dealing with natural resources and fossil fuels. Charges of conflict of interest and nepotism have arisen from Brown’s delaying of a declaration of emergency in the horrific Porter Ranch natural gas leak caused by Sempra Energy—a company which paid Brown’s sister, Kathleen, almost half-a-million dollars to serve as a board member in 2013-14 and made $26,000 in campaign donations to Brown in 2014.12 Another Sempra board member, Lynn Schenk, also serves on the board of the California High Speed Rail Authority and was the state’s Secretary of Business, Transportation and Housing (1978-83) during Brown’s previous stint as governor. The buck doesn’t quite stop there. Kathleen Brown is also a director of the Forestar Group, a Texas-based oil and gas company who have aggressively lobbied against expanding regulation of fracking. Her stock in Forestar was valued at almost $950,000 as of December 2015. Coincidentally (or not), Forestar owns a 285-acre luxury condo development adjacent to Porter Ranch. The governor’s sister is also a partner in Manatt Phelps, a law firm used by the state’s biggest fracking lobby, the Western States Petroleum Association, which spent more than $13 million on lobbying in 2013-14. It gets even stickier. As the East Bay Express reported, special interest groups poured almost $22 million into supporting a 2014 Brown-backed water bond, Proposition 1, a $25 billion project which exports Sacramento River water to agribusiness and oil companies engaged in fracking, endangering central valley chinook and delta smelt. According to the Express, “The contributors are a who’s who of Big Money interests in California, including corporate agribusiness groups, billionaires, timber barons, Big Oil, the tobacco industry, and the California Chamber of Commerce.”13 The proposition, which outspent its opposition exponentially, passed easily. Challenging the grip of corporate lobbyists on California hasn’t been easy under Brown’s governorship. His reputation has served him like a Teflon shield. Public awareness campaigns about Brown’s support of hydraulic fracking proved informative, but failed to provoke any sort of mass outrage. Ditto Brown’s abrupt reversal of a campaign promise not to use Proposition 1 money to pay for habitat migration of marine species impacted by the construction of two underwater tunnels. But there are signs of a widening crack in Brown’s façade as a green guru. Two recent lawsuits charging government collusion with oil and gas interests represent a break point for the environmental movement. Like much of the criticism against Brown’s administration in regards to the environment, they have to do with hydraulic fracking. The fuel-extraction process of fracking has been linked to toxic hazards and science suggests that fracking can actually trigger earthquakes. In fracking states like Texas and Oklahoma, 7.9 million people are in danger from man-made earthquakes, according to CNN14—a prospect made more dangerous in the seismic fault-saturated California. Both lawsuits originate out of Kern County, which accounts for approximately 99 percent of the fracking in California and one-tenth of all US oil production. Almost a quarter of the county residents—49 percent of whom are Hispanic or Latino, mostly of Mexican descent—exist below the poverty line, and more than two-thirds live within one mile of an oil well. The solidly Republican-leaning county holds the dubious distinction of having the most deaths by police shooting per capita in the US with 13 police shootings in 2015. The first lawsuit,15 filed in 2015 on behalf of Kern County farmers, alleges that the Brown administration colluded with the oil industry to avoid groundwater contamination laws. 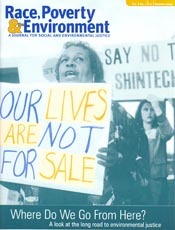 Specifically, it16 alleges that government officials entered into a criminal conspiracy with oil companies to subvert the Safe Drinking Water Act “to achieve through illegal means the goal of increasing oil production and maximizing profits and tax revenue by allowing the Oil companies to inject salt water into fresh water.” It also notes that permits approved by the State Oil and Gas Supervisor Tim Kustic rose from 50 to 1,575 in 2012 alone, after Kustic promised oil companies a “flexible” approach to permitting. Injecting contaminated water into aquifers increased sodium chloride levels in underground water to the extent that some orchards were damaged, threatening the livelihoods of farmers. To avoid public scrutiny, Brown and his co-defendants “suppressed research, destroyed documents, and refused to provide all information requested under the California Public Records Act,” said lead attorney R. Rex Parris in a statement. CBD’s Kretzmann says Brown “can’t be counted on” and that he, “hasn’t been an ally” of environmentalists concerned about the contamination of aquifers. 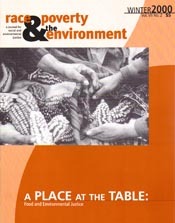 The pervasive influence of the oil and gas industry, Kretzmann claims, has led Kern officials to sidestep comprehensive environmental impact report (EIR) requirements by changing them to allow for “one [environmental impact] review for all oil and gas projects for the next 25 years”, thus evading CEQA guidelines. Additionally, exclusionary tactics, such as not providing public materials about the proceedings in Spanish, negatively impacted Kern’s monolingual population of rural farmers, he says. Brown was also strangely mum about a controversial plan to run coal trains to an Oakland port terminal. In addition to climate change concerns, the coal shipments would have exacerbated existing health risks in the area around the terminal, which has some of the worst air pollution and highest concentration of asthma in the state. The plan was strongly opposed by environmentalists and on June 28, 2016 the Oakland City Council finally gave in to public opinion and public health experts, voting 7-0 to block the shipments. Other opponents of the plan included state EPA employees and numerous elected officials, including State Senator Loni Hancock, Congresswoman Barbara Lee, Assemblymen Tony Thurmond and Rob Bonta, and Oakland Mayor Libby Schaaf, a former Brown aide. “For [Brown] to be quiet on this coal issue is stunning,”20 San Francisco State University professor and political commentator Joe Tuman told the San Francisco Chronicle. Brown’s public silence may have been evidence of a personal conflict: the project’s developer is his good friend, Phil Tagami. Their relationship is well-documented. As mayor of Oakland, Brown appointed Tagami to the Port Commission, and as governor, appointed him to the state’s Lottery Commission. Tagami also contributed $11,000 to Brown’s campaign for Attorney General, and Brown’s nuptials took place in the Tagami-owned Rotunda Building in Oakland. But Brown may not have the option to maintain his silence forever. State Senator Loni Hancock’s Senate Bill 1279 would prohibit the use of public funds to build or operate any port that exports coal from California. It also applies to any port near disadvantaged communities. It passed its initial policy committee vote in late June and is awaiting fiscal review. If that bill and several others Hancock has introduced make it through the legislature, Brown will be presented with a clear choice—sign or veto—and may finally reveal his position on the dirtiest of fossil fuels. Some advocates, however, have a more balanced view of the governor. Alvaro Sanchez, environmental equity director for the Greenlining Institute, concedes that Brown’s stance on fracking and water has hurt his legacy in some capacity. 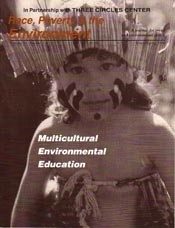 But he emphasizes that Brown has been a global leader in forwarding environmental policy models. Perhaps more importantly, he adds, Brown has not stood in the way of environmental equity bills advanced by elected officials, such as Kevin De Leon. And the fact that there is robust funding for AB32 goals speaks for itself, he adds. 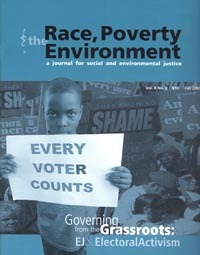 Eric K. Arnold is a contributing editor to Race, Poverty & the Environment and the founder of the oakculture.com blog.